Talent: You've either got it or you ain't. Assuming you have it as a starting point, you can then learn, you can try things out, you can be inspired... And the harder you work, the better you get. Luck: Stumbling upon a stupendous and original idea. Landing it on the right desk at the right time. But it's number two, Persistence, that I want to riff on today. Persistence means writing and rewriting, rewriting, rewriting, until the story finds its form, until it REALLY TRULY WORKS. I still have the evidence in my files to show that I printed out no less than one hundred and eighty seven different versions of my first picture book story, Owen and the Mountain, before I came up with the version that nailed it, and that Bloomsbury (the 24th publisher to see the story, but don't tell them that!) took on. Persistence means believing in a story if it's really good, despite your friends, or your agent, or any number of publishers saying it doesn't quite work. If I think something's good enough, but haven't managed to sell it, I bottom drawer it. Then every few months (or years) I pull it back out, give it a good shake, and if I still like it enough I think about whether it's worth having another go at finding it a home. I keep an eye and an ear out for new publishers, new editors, new trends, new opportunities, and if I think I have a story that seems to fit, I go for it. And so, of my five picture books due to be published in 2012, the average length of time since I originally wrote them is TEN YEARS. September: Too Noisy! (Walker), written 2005. All but the first, Collywobble, were kicking around for ages until they found their true form and a publisher who believed in them. The Snuggle Sandwich was one of the very first stories I wrote - recently I did a trawl of my back catalogue and said to my agent 'Of all the stories I've written that we never managed to sell, this is my favourite.' So I injected a bit of freshness into it, including a new punchline and title, and she went out and sold it. A friend of mine, Liz Weir, can beat even that seventeen year wait. Liz, one of Ireland's very best storytellers, has a picture book coming out this year that she originally wrote all the way back in 1985! So never say die, say I. Believe in yourself, believe in your stories. And if they're good enough, and you're persistent enough and flexible enough, they'll see the light of day. They really will. Anyone else got any good examples of persistence paying off? And, by the way, if anybody wants to find out more about how to become a top-notch picture book writer (or/and illustrator), you could do a lot worse than to come on the week-long Arvon course Polly Dunbar and I are tutoring at Totleigh Barton in Devon in June. Our guest reader is ex-Children's Laureate Anthony Browne. It's going to be good! You've made my day Malachy Doyle! Such a positive post.....and it's given me hope! Such timely inspiration as I'm sitting here re writing a teenage novel I wrote ten years ago...which I never sent out. This time it will be.....thank you. Thanks, thinking! Good luck with the novel. This is the kind of post that's an inspiration to read - especially on a tidying-my-desk-for-the-next-haul kind of day. Thank you, Malachy. Thanks - you've given me hope for those characters and stories I still love but have not been able to share with the world. Once I complete a new story I'm working on then I think I'll open my 'not yet published' file and see if I can inject a little something into those stories and send off. Exactly, Lynne. Creating new stories has to be the main focus of a picture book writer, but in the gaps and lulls and blockages, I go round the wards checking on the near misses and see if I can breathe new life into any of them. Those numbers - especially the date first created and date published timeline - are illuminating. And talking of numbers Malachy, congratulations for having five picturebooks out this year! For those who aren't yet published it will be a relief to see a true picture of the sometimes long slog. And for those who are, it's a valuable reminder that persistence often does pay off. Swings and roundabouts. Five this year, none next (so far) - but that's the upsy-downsy life we live. 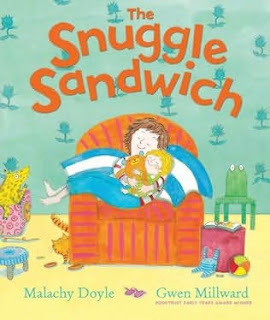 I love your titles, especially Snuggle Sandwich! Thank you for writing so openly about your experiences. Great post, Malachy. It is a great reminder that a picture book is something that just appears ready to go! This shows how a writer has to be prepared to be in it for the long haul! I had a look recently at the first versions of What Colour is Love? and I had forgotten how much it changed between the first and last draft, and I also found notes about the idea for the story a year before I actually found a way to tell the story in the first place. Your post has inspired me to look through my files and take a fresh look at some other picture book ideas and see if I can come at them in a different way to make them work. Absolutely, Linda. The finished product needs to read like a first draft, in terms of its ease of expression. But it's not - we know it's not. I hope you find some gems, and that they polish up beautifully! Malachy, you've inspired me take a fresh look at some of my nearly-but-not-quite stories. Thanks! Inspirational and encouraging, Malachy (who's your agent?) I LOVE Collywobble and Snuggle Sandwich. Waiting-wise, I'm having a curious problem with a picture book that's been sold and accounted for - the publisher can't find the perfectly right illustrator(in spite of recently being at Bologna). There are so many brilliant illustrators out there, so how can this be? I've been with Celia Catchpole from day one, Enid - we work very well together. Yes, there are very many excellent illustrators, but your publishers may have a very specific style in mind, and probably want to find an illustrator who isn't booked up way in advance, which narrows the field considerably. It'll happen. If they've paid you, it's in their interests to make it happen as soon as possible. I love Collywobble too, and the illustrations are perfect. A very cheery, positive post, Malachy - thank you! I don't write PB's (I did have a go but I was rubbish at it - it's really hard, as the number of drafts you do shows! ), but I absolutely identify with this. Nothing is wasted - I've kept those first four and a quarter novels I wrote for adults, because one day I may turn them into YA's. I started writing Dougal Trump in 2004 and he's finally coming out this year - it was just a matter of timing, or I like to say a matter of the market catching up with Dougal Trump! Only eight years, Jackie - beats my average! Good luck with it. Inspiring, Malachy! That's exactly how it is in the real world of writing. It's that bloody-minded persistence/arrogance to not give-up that needs to be combined with the modesty/openness to see faults and take advice that achieves success....sometimes. My blog in one sentence! THAT's why you're a picture book writer, Pippa - knowing what to say and not a word more! I know others have said it, but 'snap'! Now I too feel invigorated to look again at texts I like a lot but buried after just a couple of rejections. I definitely need some persistence. In fact, I have a lot of texts that I really like but I've never done anything with them apart from put them in my pending file. How pathetic is that?! Thanks Malachy for such an inspiring blog. How lovely Malachy ... I have lots of characters living in limbo in my big 'wicker box of ideas'. It's next to my bed - and this post makes me glad I haven't de-cluttered it! Watch out agents / publishers - I suspect a lot of recycled and refreshed stories are about to come your way any day now! Wow! I am so impressed that you submitted your picture book "Owen and the Mountain" to 24 publishers. Personally I am pretty good on Persistence in the writing, but less so on the Sending Out to publishers. Your blog has heartened me and encouraged me to keep on sending out my current story that I personally believe in. When talking to school children I have told them how many times I have re-written my picture book texts. It always amazes them! It was before I had an agent, Odette. I sent it to a load of publishers and one rang me within a few days to make an offer on it. I actually turned them down, as my dream publisher were also interested. Sadly, after loads more rewrites, they turned it down, so it was back to submissions. By that time I'd acquired an agent and Bloomsbury were just breaking into the HP big time so we decided, eventually, to try them. It's always hard to know when to stop sending things out, but in this case the feedback was excellent and the story continued to improve, so we just kept on plugging away. Good luck with yours! Thanks for your reply and encouragement.I'll keep on trying. I have had six books published, but one always wants the next one to "get out there". Thanks for this, Malachy. It's really good to remind ourselves to keep trying with those ones that aren't getting picked up. Knowing when to stop is important, too, but when something's close it's so important to keep going. You've got me thinking about a few of my old ones and what I can do with them... It's interesting too with an agent. I think I was more persistent BEFORE I got an agent (also Celia Catchpole) where I'd keep going and going. But I've certainly had a more successful time with my agent than without. Over the next few months I'm going to go all out on a picture book I started thinking about before I realised I wanted to write (about ten years ago) and wrote about eight years ago. It was nearly picked up several times (with an option fee along the way) and I think it could easily be the most successful thing I do if it gets picked up. Thanks for the push! PS I can vouch for your Arvon Course, Malachy, having been to one of yours several years ago, which was excellent. 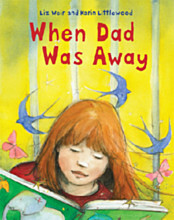 And Polly Dunbar is great, too. It should be fantastic. Thanks, Jane. Yes, I wouldn't be without my agent, but just occasionally I'll breathe new life into a story that we've pretty much given up on, and push my agent hard to have another go at selling it. Sometimes, in this business, there's maybe too much focus on the new, and not enough on taking the time to achieve perfection. Clare, not Jane - what a twit!